Business View Magazine interviews David Marotte and George Riachy, co-founders of FX Innovation, for our focus on innovative Information Technology companies. 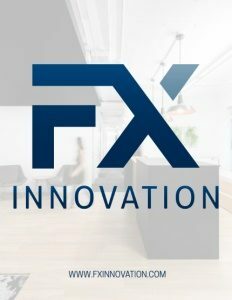 Aptly named, FX Innovation is one of the most innovative companies in the information technology sector. From its Montreal, Quebec headquarters, the company works closely with clients throughout North America to ensure IT is creating value for business. Recognizing that global market demands require companies to constantly rethink strategies at rapid velocity, FX Innovation becomes a part of the client-supplier team, and vice versa, to find and implement the best, affordable solutions. 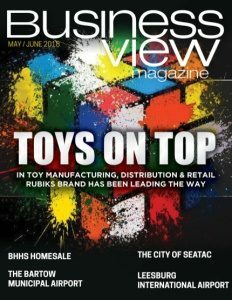 Business View Magazine recently spoke with FX Innovations President, David Marotte, and co-founder Georges Riachy, about the unique culture and business model that has placed the company on the Profit list of Canada’s Fastest Growing Companies. BVM: What motivated you to found FX Innovation? Riachy: “Dave and I started FX Innovation in 2002; literally, a couple of people in a garage. We began by doing consulting services and IT with the mindset of building a company that delivers solutions. When we did the first plan – I remember doing it on a paper napkin in a restaurant – we wanted a flagship and recurring revenue to make sure we had enough money to finance the plan. That’s why we went for consulting in the beginning. Marotte: “We currently help clients in Ontario, Western Canada, Boston, New York, and the Quebec region, but most of the work is done from our Montreal offices. We have five divisions: one is consulting. And we’re very strong in cloud integration space, and one of the leading service mount integrators in Eastern Canada. We also do digital application development. And, lastly, managed services – managing infrastructure and hardware and servers for clients from our 24/7 operations center. “At the time we founded FX, we were working for large, publicly traded companies, and we found that, sometimes, the short-term decisions you make to help the stock go up, has a long-term negative impact. So, George and I said, ‘let’s show these big guys that an innovative, creative bunch of people can get together and make decisions based on what’s best for the clients, what’s best for employees.’ That’s where the name comes from – the ‘innovation’ in FX Innovation stands for always being different in the way we do things; the way we talk to our clients; the way we recruit and onboard employees; the way we build our solutions. If we’re not different, we don’t want to do it. BVM: Who is your typical client and what services do you provide? Marotte: “Close to 50 percent of our revenues are in the financial market – banks, insurance, we also do a lot in the retail sector. Medium to large companies where IT and digital are important to their business model are very interesting to us. We do all sorts of interventions. Sometimes they express problems and we propose solutions. Or they have the solution and want us to build it. Other times, they want us to manage part of their IT services, so they can focus on their core business strategies. We have a strong tech group that does what we call ‘technology watch’ – they tell us which technology is going to do more or be better for our clients and we try to integrate that to help them achieve what they need. Riachy: “A couple years back we put in place a roundtable with CIOs of major institutions in Montreal, who are also clients, to demystify the cloud for them through expert speakers animated by our tech group and David presiding. We now do these roundtables on a quarterly basis. It helps these clients to get together and see that they have similar issues but no solution. We sit with them to understand the issue, we clarify the issue to make sure everyone is on the same page, and we end up finding solutions with them most of the time. BVM: What role do partnerships play in your business? Marotte: “We enjoy strong partnerships with Microsoft, ServiceNow, and AWS, and we belong to the Quebec Technology Association and YPO. And we just partnered with Caisse de dépôt et placement du Québec (an institutional investor that manages several public and parapublic pension plans and insurance programs in Quebec). They invested money in our organization to help us seize new markets in Canada and the U.S. with our solutions. We’re very proud of that. We chose a partner that has experience and an alignment of vision and values with whom we can expand the business. BVM: Five years ahead, what are the priorities for FX Innovation? Check out this handpicked feature on Palm Bay, Florida – Moving in the right direction.